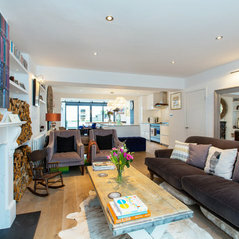 Freymar Designs is an interior design firm based in London. We approach each and every project with enthusiasm and fresh ideas and we aim to inspire our clients to transform their homes and gardens, lifestyle and enjoyment of their homes. The simplest changes can really make the biggest impact. The team will translate your lifestyle needs through colour, design, furniture, artwork and soft furnishings. With an abundance of unique design styles, it can be daunting to decipher which style will work best for you. Some clients enjoy combining elements of several styles to create their ideal look. We will work with you to ensure your project is meticulously planned, harmoniously balanced and delivered carefully - matching lifestyle, taste and needs to lifestyle solutions which will transform and bring beauty to your home, enhance your happiness and lift your spirits. We bring precision, beauty and understated luxury to residential interiors and we take pride in flawless delivery. The team can assist on all projects - both small and large. 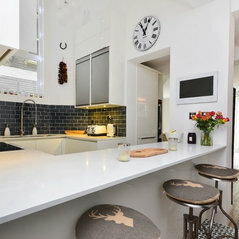 We can transcend styles to produce a balanced and unique mix or work to a set brief such as Contemporary, Scandinavian, Industrial or Traditional finishes. 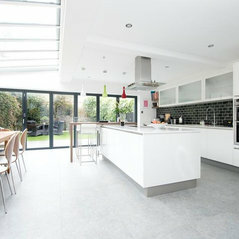 We approach each and every project with a bespoke approach and provide a service that's tailored to your needs, whether you're looking to redesign a single room or undertake the refurbishment of your family home or outside space. The team has expert sourcing expertise and encyclopedic knowledge of finishes to suit a wide range of homes. We creatively advise across the entire design process from abstract conceptual ideas to detailed design solutions. How can we help you? 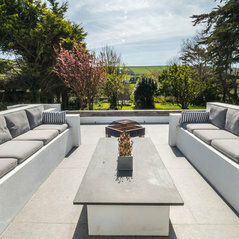 We would love to hear from you if you would like: •Consultancy on a project (home or garden) •Drafting floor plans and space design •Quick one-off advice on a project or a room •A complete tailored, bespoke design service •Sourcing for a wide range of materials including furnishings, lighting and artwork •Consultancy on sourcing materials, furnishings and fabrics •Home staging or de-cluttering advice We can arrange a chat over a cup of tea (virtual or real, depending on what suits you). We look forward to meeting you!